A medium-term refurbishment of the existing 1980’s office building to deliver maximum impact with minimum intervention; enhancing existing materials, modernising, reconfiguring space and uses. Astudio have been invited by British Land to present thoughts as a feasibility study to the modernisation and reconfiguration of Broadwalk House, in line with the wider Broadgate vision. 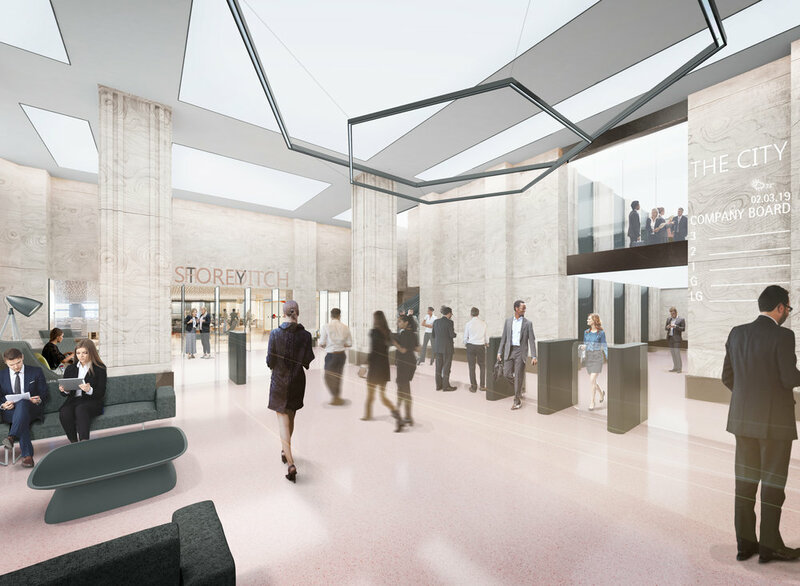 The approach to refurbished works includes re-provision of 12200m2 of Class A office space, 1600m2 of new retail space, the remodel of reception and entrance. As a medium term approach the design draws on a the main concept; minimum intervention to deliver maximum impact. Design reinvents the building to suit todays user’s needs with cost efficiency and speed. 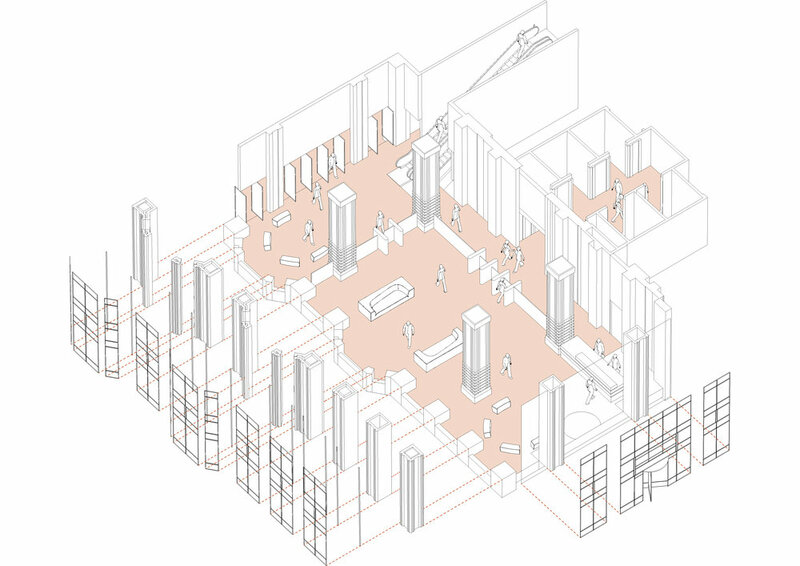 Our ideas centre around key themes; the building in its context; the treatment of materials and the function of the reception and retail spaces. 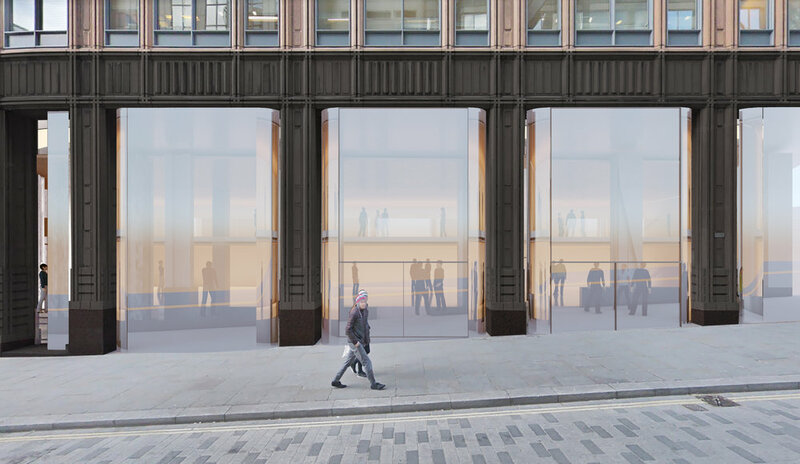 Images show before and after opportunities to update space, improve relationship in the broader Broadgate vision, create more value with maximum impact for minimum intervention; augmenting existing space and materials.